Autumn is my favorite time of year … I just love the sun-filled days, the cool nights, and of course the colorful and crisp leaves! 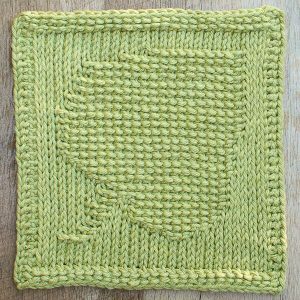 It’s the perfect time to work up this Leaf Tunisian Crochet Dishcloth Pattern … although I think leaf decor is beautiful all year long! 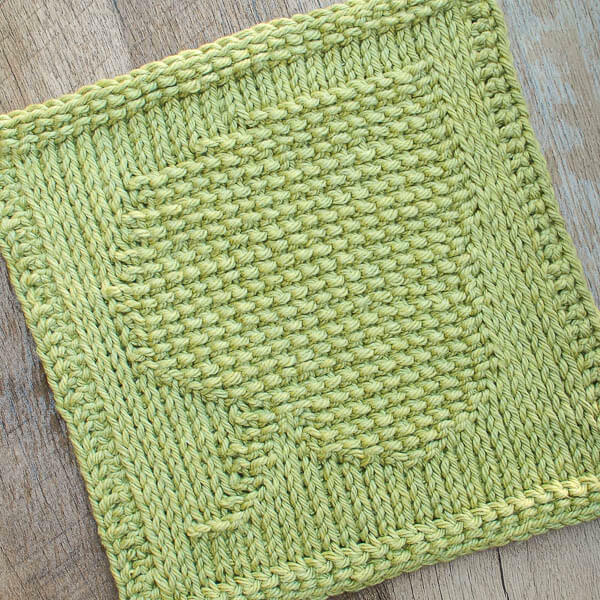 If you’re new to Tunisian crochet or just want a bit of a refresher, you can check out my free series Learn Tunisian Crochet in a Week! Set up row: Pull up through the back ridge of each ch across — 30 sts. Row 35 should be worked as a bind off row; work Trs bind off. 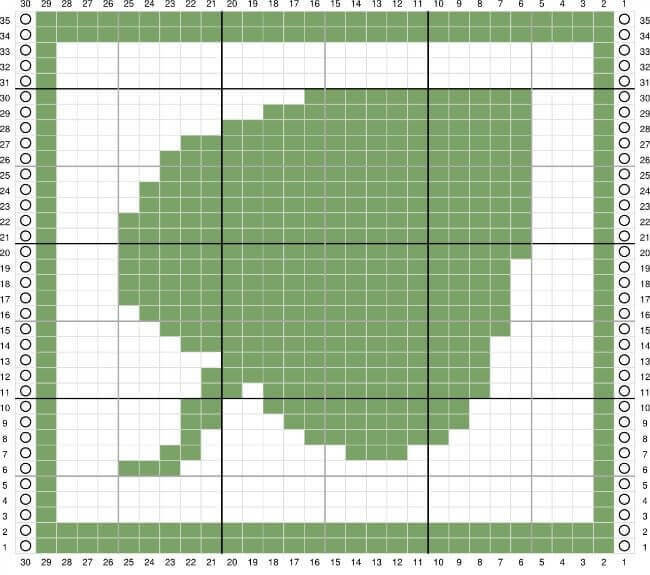 KEY: Circle = first/last stitch; Green = Trs; White = Tks. 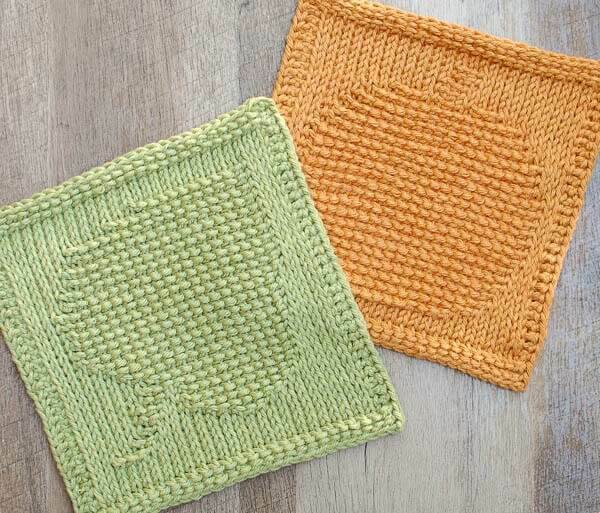 You may also like this charming free Pumpkin Tunisian Crochet Dishcloth pattern for a perfect autumn set! Could you tell me what the Trs bind off is? Is it the slip stitch bind off you covered in the tutorial or am I missing something? I love your leaf and pumpkin. I would love to see an apple and a maple leaf ,too. Wow, I’ve seen the knit cloths like this but this is even better. One question, will the bottom curl like most tunisian crochet?